Yellowcard’s “Ocean Avenue” is the best song you didn’t know you knew. Intrigued? Confused? Both? Understandable! All the more reason to put your fingers to work and hunt down the video. While it may not be the most unique and gripping thing you’ve ever seen, it’s still quirky and it’s not a bad way to spend a few minutes. 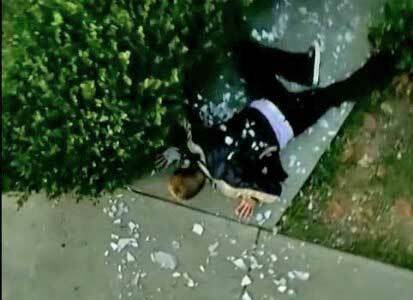 Ryan Key waking up on the sidewalk at the start of the video. “Ocean Avenue” fits your standard music video formula of cuts between the band playing and a storyline. Yellowcard’s is a little more involved than most, however. 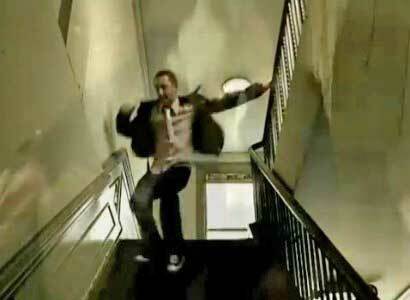 It features singer Ryan Key trying to escape from something—the details of which you (and he) find out more and more as the video goes on. What makes it cool is the Groundhog Day vibe the whole thing has, as Key is constantly reliving the same morning over and over. Why? Well…that’s one of the many plot holes in the video, but luckily Key puts on a performance entertaining enough to make the viewer forget little details like “how is this man going back in time?” for the span of four minutes. 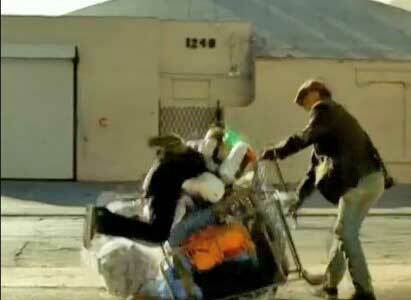 Key tripping over a food cart. There’s crashing through windows, tripping over food carts, and even a run in with a horde of nuns. And what footwear does our brave hero wear as he conquers each of these obstacles? Flip flops! (Don’t panic. That was just a very poorly executed joke—he wore chucks, obviously!). But flip flops or not (thankfully not) “Ocean Avenue” is a fun, entertaining video for a classic song that’s sure to get you tapping your toe and feeling good. To get yourself a pair of chucks to escape in, click on the links below.